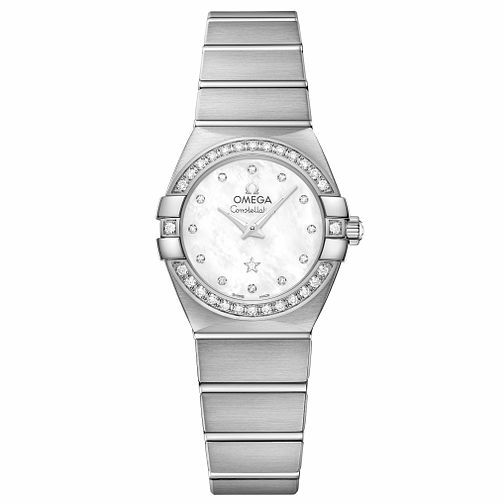 The Omega Constellation watch features a beautifully textured mother of pearl dial with stone set accents that are set around the bezel and the dial. A delicate star features at the 6 o'clock mark that maintains the starry inspiration for this collection. Omega's watches are Swiss-made with decades of precision in watchmaking.